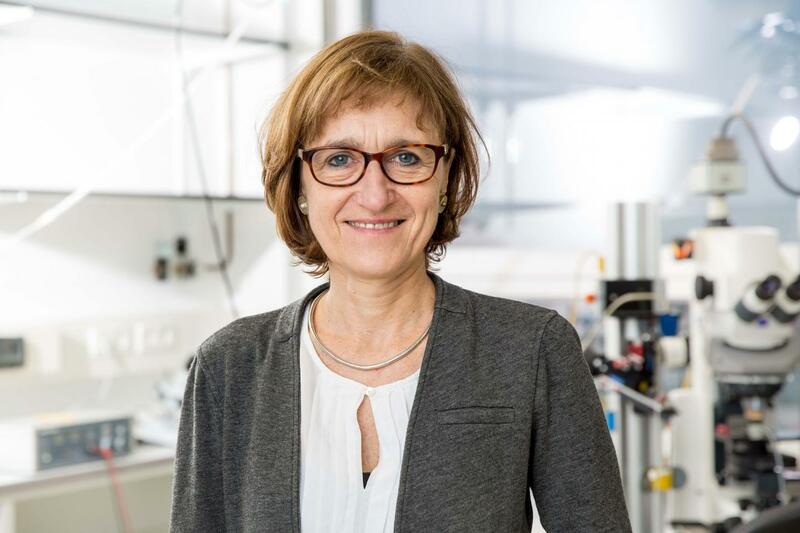 The European Research Council (ERC) funds cutting-edge research in all disciplines — and now Prof. Dr. Marlene Bartos of the Institute of Physiology I at the University of Freiburg is receiving a 2.5 million euro Advanced Grant. The aim of the ERC's Advanced Grant is to give established academics the opportunity to undertake high-risk research projects and to break new scientific ground. Bartos' project will examine the functional role of inhibitory nerve cells in the formation of memory traces and in the control of cognitive behavior. The processing of information in an individual's brain enables the organisms to adapt to its continuously changing environment. Until now, it has been largely unclear how memory traces in neuronal networks develop during the learning process. Current theories suggest that experience-dependent modifications of synaptic communication between nerve cells enable neurons to form new cellular associations that together represent the new memory traces. It is further assumed, that inhibitory nerve cells have a large influence on this process. In contrast to excitatory cells of the central nervous system, these "interneurons" are enormously diverse in their cellular and synaptic properties. During the course of the ERC-funded project, Bartos together with her research group aims to study how cellular associations develop spatially and temporally as a function of the learning process, and to examine the contribution of inhibitory nerve cells to this process. This research is clinically relevant, as numerous studies indicate that dysfunctions of inhibitory nerve cells in cortical structures including the hippocampus play a key role in the emergence of neuropsychiatric diseases. Marlene Bartos studied biology at the University of Braunschweig and gained her PhD at the Technical University of Munich. She started her academic career at the University of Pennsylvania in Philadelphia, USA, subsequently qualifying as a professor in Freiburg. In 2006 she moved to Aberdeen, UK, where she was employed as Personal Chair at the Institute for Medical Science. In 2011 she returned to the University of Freiburg to take up a Lichtenberg Professorship which is endowed by the Volkswagen Foundation, and has since 2016 been Temporary Chair of the Institute of Physiology I at the Medical Faculty. Bartos is also a member of the BrainLinks-BrainTools Cluster of Excellence and the Bernstein Center Freiburg (BCF). In the past three years together with her research group, she has developed new state-of-the-art working techniques, which formed the basis for the ERC-funded project. In the recent round of awards, three ERC Grants have gone to Eucor – The European Campus universities: one to the University of Freiburg, two to the University of Basel.